This is a discussion that I’ve heard a lot over the years as a programmer, and it seems to be a slightly more muted and cordial debate than the typically contentious “computer science degree vs certifications” or “schooling versus self-taught” ones. Generally the accepted answer is the “architect answer” of “it depends.” I’ll see/hear consensuses such as, “well, you need it if you’re going to be doing really low level stuff or processing lots of data or designing compilers or something, but if you’re just writing basic line of business apps or if you’re more of a designer then you don’t need math.” I often like the architect answer because trending toward nuance and avoiding absolutes gives you the most chance of recovering from bad assumptions, but I’m going to go out on a limb here with more of a hard-line stance. I think that programmers do need and use math and that it doesn’t “depend” at all. It’s just that some are more trained in and aware of their usage of it while others do it by intuition, rote, or dependence on others. One thing that I think clouds the issue is what is meant by “math.” Many think back to derivatives or perhaps back further to trigonometry and algebra and realize that they don’t frequently hit the math libraries for things like cosine or solve for x. Sure, there are some basic arithmetic operations when laying out a page–addition, subtraction, etc., but that’s it. There’s a broad tendency to dismiss the basic arithmetic as too trivial for discussion and declare math unnecessary in these cases. But I think that this analysis tends to overlook two math concerns: missed opportunities to leverage math and lack of understanding that it’s even being used. For the first one, consider a scenario of laying out a form with simple arithmetic. Say there are three buttons that need to be evenly spaced on a form, and the form should have a fixed width, but you have some control over that. The visual, “non-math” way to do this might be to assign the buttons random horizontal locations and then move them around by trial and error. Time could be saved, however, with a simple algebraic solution of determining a ratio of padding to button, determining a form width, and solving for x–no trial and error and exactly right the first time. The second concern is a bit more subtle. Perhaps each of the aforementioned buttons have handlers and those handlers have some logic. If button 2 is clicked after button 1, and button 3 is red or else button 2 is blue, disable button 1. Is there any math there, or just a series of weird procedures? The answer is “both,” but you’re probably not thinking of or looking for the math. You’re intuitively constructing logic chains in your head and trying to figure out where the nested parentheses are going to go in your if statement. If you’re intuitively constructing scenarios and you think you’re not doing any math, it’s because you’ve never been exposed to truth tables or Boolean algebra. Boolean logic lies at the core of most things that any programmer does, and it isn’t alone. Arithmetic is obviously indispensable, if reasonably taken for granted, but at the core or arithmetic lies the cousin of Boolean algebra, which is algebra over real numbers. Pulling back from the more “fluid” concerns about real numbers with which we’re used to dealing, there is also a whole world of discrete/finite math that involves distinct values and forms the basis for concepts like sets, graphs, and basic data structures which are in turn assembled into algorithms and design patterns. From that emerges everything from the exotic, like cryptography, to the mundane, such as preconditions and functions. 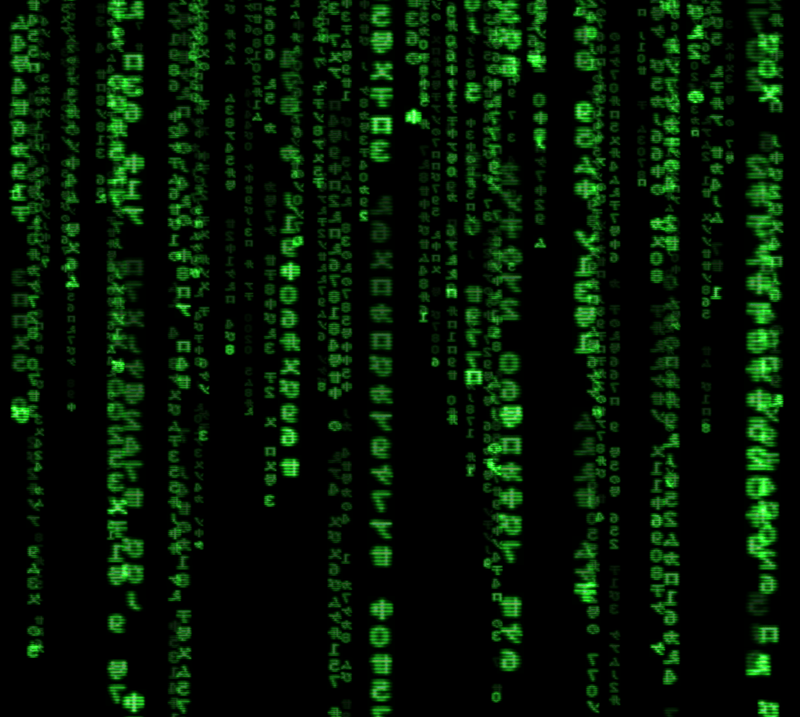 If you’re a programmer and haven’t had exposure to these things, you’re living in The Matrix, blissfully unaware that you could take a red pill and start to see everything you’re doing as a weird, dripping series of green symbols and digits on black background. Because I think that math matters a lot and because it’s fairly heavily in my background, I’m going to embark upon this series of posts. I’d like to cover things such as DeMorgan’s Laws/Boolean Inference, O-notation, formal methods, combinatorics, probability/game theory, etc. But if you find your eyes glazing over just reading that list, don’t worry–it won’t be a bumpy ride. And I’ll be in it with you, since my days of heavy exposure to theoretical math are, along with college and grad school, surprisingly far away in my rearview mirror. I’ll have some rust to shake off myself. 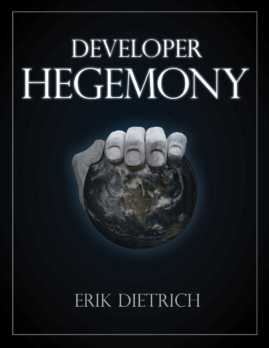 These are going to be very elementary explanations of these concepts, along with practical concerns of why you as a programmer should care. I’ll also provide links to more information and formal reading along with perhaps examples of where you’re already using this and maybe not even realizing it. I’m going to keep these posts mainly language agnostic, and I might switch it up among C#, Java, and C++, depending on what I’m covering. Stay tuned if this kind of thing interests you. In my opinion it matters and I look forward to the upcoming posts. I learned a lot in the college calculus classes that I took, but what I improved on most from those classes was my problem solving skills. It might have just been a personal thing, but I encountered a lot of “ah-ha!” moments over those semesters that I still benefit from today. That’s a good point and one I didn’t really think of while making this post — the idea that such activity aids general programming skills. In that respect, it’s probably akin to learning another programming language for perspective. That would be TS Eliots guide to poetry or literature. I don’t have the exact title off the top of my head, and for these sorts of things, Google is cheating. The bonus points go to you, my friend. The book is called “Old Possum’s Book of Practical Cats” and it was the basis for the play “Cats”. When I was typing up the title about “Practical Math” the book popped into my head.